oToBrite is committed to the development of ADAS applications and technology. We use images that are captured from six to eight cameras installed inside or outside the vehicle and sent to the Electronic Control Unit (ECU) for calculations to perform various ADAS functions. 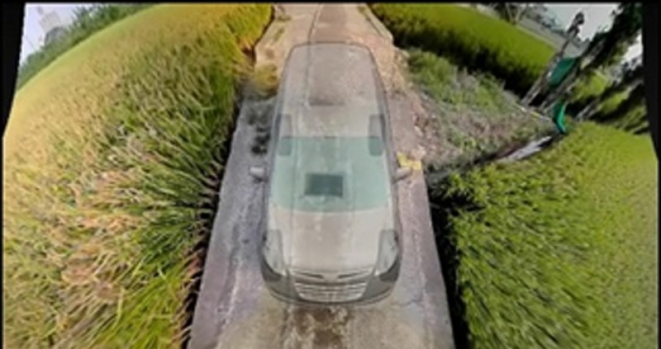 Based on driver’s needs or the driving scenario, image processing technology and driving data are leveraged to automatically provide two-dimensional and three-dimensional panoramic views, generating intuitive views of vehicle surroundings in more realistic ways. Meanwhile, the system employs computer vision techniques and deep learning to detect the vehicle’s surrounding environment and enable timely alerts to potentially dangerous situations that prompt the driver to react immediately. oToBrite also actively collets and verifies a huge amount of road images and engages closely with carmakers to proactively takes part in vehicle control design, in order to realize the company’s vision – making driving easier and safer. In addition to Computer Vision technology, oToBrite has leveraged machine learning and deep learning to develop object and scenario recognition applications. These applications have been further deployed into the company’s ADAS products, such as Moving Object Detection (MOD), Open Door Alert (ODA), Free Space Detection (FSD), Parking Grid Detection (PGD), Blind Spot Detection (BSD), Lane Departure Warning (LDW), and Forward Collision Warning (FCW). Looking forward, oToBrite will continue to develop AI technology, such as continuous optimization of the deep learning model, and strengthen video collection, tagging, regression test, and other functions to ensure the efficiency of the system. oToBrite uses two-dimensional and three-dimensional image processing technology, such as perspective transformation, image rectification, image stitching, global automatic white balance, global automatic color balance, to provide two-dimensional and three-dimensional views. With innovation running through everything the company does, oToBrite pioneered in the development of AR view see-through technology, which can accurately display the environment around and under the vehicle. The system becomes significantly more valuable and helpful for the driver as it enables the driver to avoid obstacles around and under the car as well as dangerous areas. The clarity and consistency of the raw images play a critical role to the safe driving system. And the clarity and consistency of the images are determined by alignment accuracy. Boosted by a long-term professional experience in optics and image processing technology, oToBrite has invested years of research to develop the five and three-axis alignment system, which is different from the traditional manual single (z-axis) alignment and has the ability to significantly enhance the clarity and consistency of the image. The new technology also effectively lowers the cost of the assembly, allowing maximum manufacture flexibility and production of a small but varied number of vehicle cameras.